To view an enlarged version of this image, click HERE. 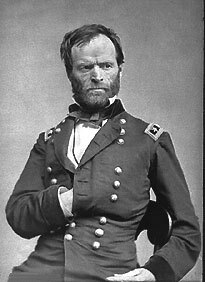 "So Atlanta is ours and fairly won...Since May 5 we have been in one constant battle or skirmish, and need rest." Below are brief descriptions of the 80th's day-to-day experiences during September, 1864, which included the long sought, hard fought, capture of Atlanta, Ga.
Also included below are quotes from primary and secondary sources that are intended to give insights into what the times, and the soldiers' lives, were like. These quotes have been entered on the date they were written or published (unless otherwise noted) and without changing the original grammar or spelling. Abbreviations used on this page include: Assist.=Assistant; Capt.=Captain; Co.=Company; Cpl.=Corporal; C.S.A.=Confederate States of America; Dept.=Department; F&S=Field & Staff; Ga.=Georgia; Gen.=General; Ind.=Indiana; Maj.=Major; P.O.W.=Prisoner of War; Pvt.=Private; Sept.=September; Sergt.=Sergeant; Surg.=Surgeon; U.S.=United States; and, '64=1864. The 80th Indiana was formed in response to President Lincoln's call for 300,000 more volunteers for the Federal Army. The 80th left Indiana in September, 1862, and did not return until July, 1865. During that time it marched over 3,700 miles on foot and fought in the states of Kentucky, Tennessee, Georgia, and North Carolina. Of the roughly 1,000 men who served in it, only 320 were still with the 80th when it came home. Sources: 80th Indiana Regimental and Company Order Books; Report of the Adjutant General of the State of Indiana, Volumes III and IV, 1861-1865 (Indianapolis, Indiana, 1866); letters by 1st Sergt. Samuel T. Reeves Co. C, 80th Ind. (1864-1865), courtesy of the Dept. of Special Collections, University of Notre Dame; and other items as noted. Confederates Abandon Atlanta. Weather "very hot." "...On the 1st of September we moved forward, struck the Macon road destroying some distance of the road, and then moved forward about two miles and camped for the night..."
Atlanta Taken. Camped near Lovejoy Station in entrenchments near the enemy. "...On the 2d we took up our line of march in the direction of Lovejoy's Station and continued the march until we reached the rebel line of works three miles east of Lovejoy's Station, where we took up position within 500 yards of the enemy's works, where we lay, continually skirmishing with the enemy, until the evening of the 5th..."
Near Lovejoy Station. Skirmished with the enemy. Camped in entrenchments under fire. "Weather fine until Midnight when it began raining." "...well dearest I Suppose atlanta is ours but what it cost to take it I have not learned yet wee have heared Several different Stories about it one is that the 2n Brig of the 2n Division [which the 80th Ind. belonged to] was all cut to peaces and then wee hered that the 2n Division is all Captured now wheather any of this is So or not I cannot tell I hope that it is fals I am verry ankcious to here from our boys and yet I am almost affraid to here from them, but wee can only hope for the better..."
--1st Sergt. Samuel T. Reeves Co. C, letter from 23rd A.C. General Field Hospital, Marietta Ga., to his wife Huldah and family in Edwardsport, Ind. "...We left our works on the night of the 5th and reached Decatur on the 8th. During the move no casualties occurred..."
Mustered in as Co. D officers. 1st Lieut. Isum Gwin as Capt. Sergt. Warner G. Smoot as 1st Lieut. Decatur, Ga. Camped at Decatur. "Weather fine." "List of casualties of the Eightieth Regiment Indiana Volunteer Infantry at the battle of Resaca the 14th of May, 1864: Officers-killed on the field, 1; died of wounds, 2; wounded, 6; total, 9. Enlisted men--killed on the field, 11; died of wounds, 7; wounded, 101; total, 119. Grand total, 128. There were several others slightly wounded, but the foregoing are all I can find on the surgeon’s books..."
Decatur, Ga. Camped at Decatur. "Weather hot." Decatur, Ga. Camped at Decatur. "...I am going to the Regt in the morning (if nothing happens) to See if My letters has not got thare Dearest I am going to try the field again I cant tell how I will Stand the hot Sun: but I feel better now than I have Since last fall but the hard Ships of Soldiering may Soon get me down again but I hope I will Stand it fine well love thare is a gradeel of talk of us Coming home to vote but I cant think that the 80t will ever be So lucky as to get to come to old hoosier untill our time is out but I hope wee will get to come) well Dearest I have Just hered a Sermond and it mey be the last one for Some time for our Chaplin [Chaplain Marmaduke M. C. Hobbs F&S] has gon home on a leave of abcence and he will not be apt to be back Soon"
--1st Sergt. Samuel T. Reeves Co. C, letter from Marietta Ga., to his wife Huldah and family in Edwardsport, Ind. Died a prisoner of war in Andersonville Prison Camp, Ga.
80th Loses Its Surgeon. Camped at Decatur. Returned from hospitalization at Marietta Ga.
"SIR: The Second Division, Twenty-third Army Corps, numbering 3,971 present, moved from Mossy Creek, Tenn., April 26, 1864, to join in the active campaign opening in Georgia. The medical department was deficient in medical and hospital supplies, in number of medical officers, and in strictness of discipline...Three medical wagons, furnished, were ordered and joined the division at Red Clay, Ga. Other supplies necessary were obtained, and the medical department was as rapidly as possible put in readiness for the exigencies of active service...Asst. Surgs. William P. Welborn, Eightieth Indiana Volunteer Infantry, and E. S. Cooper, Thirteenth Kentucky Volunteer Infantry, have rendered efficient service to the wounded in hospital..."
"SIR: I have the honor to submit the following report of the numbers of men required to recruit the Indiana regiments in the Twenty-third Army Corps to the minimum standard, and to request that measures may be taken to fill the regiments by drafted men or enlistments from your State...80th Indiana...350 [Recruits]"
Assist. Surg. William P. Welborn as Surg. "...oh how glad I was to have a letter from you and learn that you was all well this leaves Me in tolorable health I do hope that I am going to get Stout again I left the Hospital last Monday and got here tuesday I found the Boys in good health and good Sperits and I had not been here but a few minutes untill the male Come in and thare was a letter for me..."
--1st Sergt. Samuel T. Reeves Co. C, letter from Decatur Ga., to his wife Huldah and family in Edwardsport, Ind. Major Tucker Resigns. Camped at Decatur, Ga.
"There exists a bad feeling between me and the Officers and men of the Regiment which makes it nearly impossible for us to get along together, I therefore think my going out of the Service would be a benefit rather than a detriment to it; this feeling can never be changed." --Maj. John W. Tucker F&S, 80th Ind., official letter resigning his officer's commission. Resignation from the Army accepted. Capt. Jeremiah C. Gladish Co. G as Maj.
"Organization of troops in the Dept. of the Ohio, commanded by U.S. Gen. John M. Schofield. Brig. Gen. JACOB D. COX. Brig. Gen. JOSEPH A. COOPER. Lieut. Col. Francis H. Lowry. Lieut. Col. Alfred D. Owen. Lieut. Col. Solomon De Long. Lieut. Col. Isaac R. Sherwood. All Rights Reserved. Created May 13, 2000. Last updated February 26, 2005.